Duckworth And Lewis Are Here! "Morning has broken and I've got to go..." With the latest in carrier pigeon technology, we bring you an update from Mr Duckworth. The ink is still wet! G’day all our fellow team-mates. 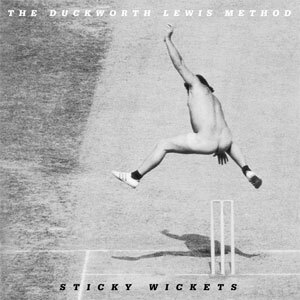 Duckworth & Lewis would like to share with you all the joyous news of their impending shellac. 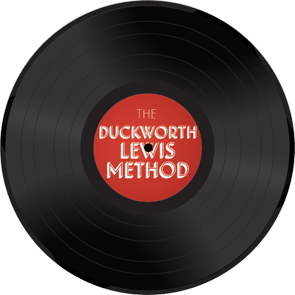 “The Duckworth Lewis Method”, will hit the high street stores like a stinging bouncer on July 6th (July 3rd in Ireland). The album has figures of 12 songs in two harmonic overs of 6 including one instrumental maiden all delivered by Messrs Duckworth & Lewis. We will also treat your beautiful shell-likes to one more preview from the album on our MySpace player - so keep the peepers peeped! Once again Duckie & Lewie would like to express their gratitude to one and all who have visited our site over the past few months - YOU KEEP BOWLING US OUT WITH YOUR LOYALTY!